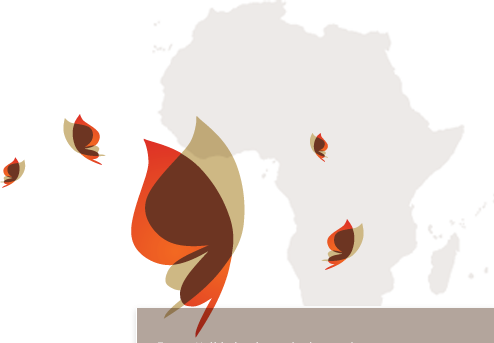 Butterflies creep from their cocoons, dragonflies sore the water, the red bishop exchanges it´s brown feathers for a bright red and black feather coat and the Malian people heave a sigh of relief when in June the fertile refreshing rains start to fall. The hot season has come to an end, grasses and bushes sprout, all around farmers are working the land and soon the soil is covered with a fresh green layer, which changes the landscape entirely. The Mali Summer journey is a combination of our favorite time of year in Mali and a selection of our favorite destinations and activities: a trekking through Dogon Country, a trip by pinasse on the River Niger and visits to Djenné and Ségou. We take you off the beaten tracks, connect with the local people and have you experience a green Mali. And besides of having the chance to see lots, there will be time and space to experience, enjoy and relax. World heritage city Djenné, located on an isle in the river Bani, counts about 24,000 inhabitants and is mentioned as one of Africa’s oldest cities. It’s the mud culture, which gives Djenné its unequalled character. Djenné’s Great Mosque is the world’s largest mud structure and a delight to look at. The mosque, the colorful, lively week market and the buildings with doors and windows with Moroccan / Moorish influences are for many a highlight of the visit to Djenné. For the Dutch Djenné came alive through Ton van der Lee, who described his experiences in Djenné and the building of his ‘Sandcastle’ in the equally named book. 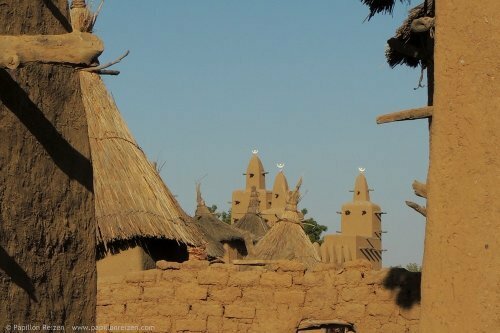 Mali’s Dogon truly is a country in a country. The landscape, architecture, granaries and cliff houses, its unique position at the ‘falaise’, the holy places and historical caves give it its special atmosphere. 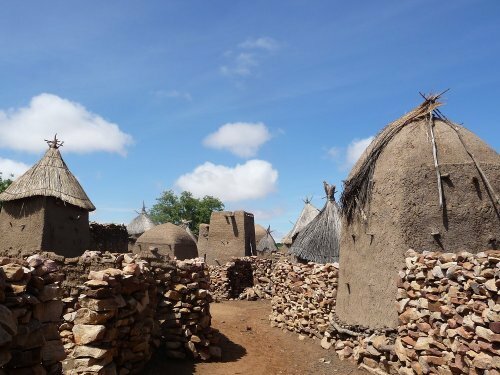 From Kani Bonzo, the first Dogon village, new villages have been founded over the centuries, leading to an area that stretches over a length of more than 150 kilometers. Before the Dogon people settled here, it’s said in Dogon tradition that there were the Tellem and the Pygmies. The cliff houses are no more in use. The villages have been relocated to lower terrain, for practical reasons such as the proximity of water resources and farm land. Electricity and running water are still exceptions in Dogon Country; life is being lived with the rhythm of the seasons, the moon phases and the light of the sun. Till the beginning of the 19th century, Ségou was the capital of the important Bambara kingdom. Up till to today the remains of these times are visible. Nowadays Ségou, with over 100,000 inhabitants, is known for its position on the River Niger, its annual music festival ‘Festival sur le Niger’ and Maryse Condé’s books. 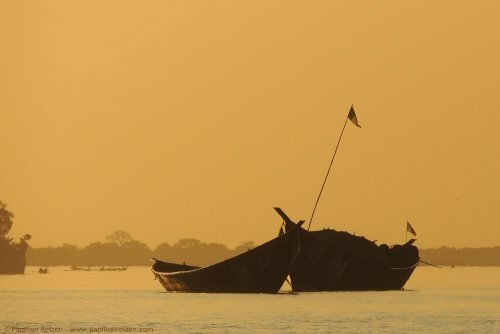 Its position at the Niger makes it a perfect place for excursions by pirogue or pinasse to nearby villages, such as Segoukoro. All accommodations (in hotels, B&B’s, tents and basic camps), all meals, use of tents, English and French spoken travel guide and local guides, all costs related to the activities mentioned in the itinerary, all transport related to the itinerary, luggage transport (one bag per person) for the trekking in Dogon Country, airport transfers, tourist taxes and entree fees. (Air) fare to Mali v.v., visa, vaccinations, personal insurances (such as travel, cancellation and health), drinks, additional meals, souvenirs, personal expenses, upgrade of room and / or transport, optional side-trips and activities on days-off. Combination of public transport and transport arranged for the group. Rooms with fan, and tents based on double occupancy. Tents and matrasses are provided during the trip by pinasse. Rooftop sleeping in camps in Dogon Country. The single supplement gives you the right of single use of rooms and tent. Depending on availability. A good shape is required for the hike through Dogon Country. The trekking leads over sand and rocky surface, and more than once several hundreds of meters are being descended or climbed along the cliff walls. The distances between the villages vary from 4 till 12 kilometers. The mornings and late afternoons are being used for the hikes, the warmer hours of the day for lunch and rest. An open mind and a flexible and adventurous attitude are required for this journey, in which facilities are simple in Dogon Country and during the trip by pinasse. A summery of information on Mali is available on this website.